(ANS – Jorhat) – The latest book by K. A. Thomas, sdb, called “Tani Cool”, was released on 4th March 2019, by Rev. Jose Kuruvachira, the Provincial Superior of Don Bosco organizations in Assam, Arunachal Pradesh, Nagaland and Manipur. The book was released at Don Bosco, Baghchung, in the presence of a large number of educationists and social workers from Golaghat, Jorhat, Sivasagar, Dibrugarh and Tinsukia Districts of Assam. “Tani Cool” is a random collection of photographs taken by the author, dating from 2000 to 2015. The colourful photographs depict their entire life and culture of the Mising people spread out in the rural situations of 11 districts of Assam and 3 districts of Arunachal Pradesh. The book describes pictorially 46 topics about the tribe. The word Tani in the title refers to the nomenclature of the tribe that once lived in the present day Arunachal Pradesh, and belonged to the Tani group of tribes. Misings are a cool people, who never had an army or a king. They were called upon by the British rulers to intermediate between the warring tribes living in the hills and plains of the region. Fr K.A. Thomas, SDB, a member of “Don Bosco International”, is the founder director of Institution for Culture And Rural Development (I-CARD), based at Jorhat, and is an Ashoka Fellow since 2002. Although hailing from Kerala, he has mastered the Assamese language, having obtained a bachelor’s degree in Assamese from Guwahati University way back in 1987. Italy – Don Bosco and Salesian missionaries in Patagonia at "European Academy of Religion"
(ANS - Bologna) - During the annual meeting, 4 - 7 March, the Salesian Historical Institute (ISS), a member of the "European Academy of Religion", based in Bologna, screened the documentary film "A sud del sud - South of South" by Salvatore Metastasio. Financed by Don Bosco Missions and the Dicastery for Salesian Missions, in collaboration with ISS, the film aims to commemorate the centenary of the Salesian missionaries raising the cross at Cape Froward (Strait of Magellan) in 1913, on the occasion of the 1600th anniversary of the edict of Constantine. The Bologna screening was received with great interest by the public. 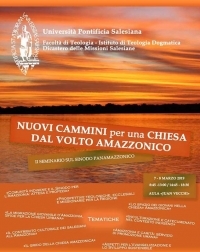 The Salesians, who had already presented the results of their historical research to the European Academy of Religion two years ago, through a conference on Salesian work in Europe in the first half of the twentieth century, were thus able to talk about the epic Salesian missionary journey in Patagonia through the film by Salvatore Metastasio. The film narrates the journey of two Italians who meet in Punta Arenas, Chile, and then continue together to Cape Froward. The youngest, Diego, wants to know the world of the Yagan, because he plans to make a film about Darwin and his friendship with Jemmy Botton, the native aboard the brig "Beagle" on his famous journey of 1832. Instead, the elderly man, Alessandro, narrates having set out towards Patagonia to follow the traces of Don Bosco's dream about that land, which a Salesian had told him about when he was a child. The journey together will give birth to a friendship between the two that is, however, filled with misunderstandings. It is the clash between science and faith, where a positive view of life is affirmed by the young, while a vision emerges on the part of the older man that cannot overlook the most fruitful part of life: the one that makes man feel part of a whole, a creature among creatures and awaiting a "revelation", which leads to reflect on the meaning of the Cross, seen not only as a religious symbol (for believers) but, above all, as a universal symbol of contact between sky and earth. The film ends with the director who entrusts a particular message to everyone: "You do not see the infinite if you do not have it in your heart." (ANS - Vatican City) - On 12 March 2019, during the Congress of Theological Consultors held at the Congregation for the Causes of Saints, a full positive opinion was given regarding the heroic exercise of virtues, the reputation of holiness and signs of the Servant of God Augusto Bertazzoni, archbishop of Potenza, born in Pegognana (Mantua) on 10 January 1876 and died in Potenza on 30 August 1972. The Servant of God attended the Salesian oratory in Turin and met Don Bosco, who had a great influence on his formation. The Positio was presented on 27 September 2013 by Fr Pierluigi Cameroni, SDB, Postulator in Rome; among the speakers: Fr Daniel Ols, OP., followed by Fr P. Zdzisław Kijas, OFM Conv., and as a collaborator Msgr. Gerardo Messina, former vice-postulator, assisted by Dr. Lodovica Maria Zanet, collaborator of the Salesian Postulation. It is nice to remember that this fundamental passage of the Cause took place on March 12, the day of the death of Saint Luigi Orione who, with the young Augusto Bertazzoni, was a pupil of the oratory of Valdocco in Turin. Both were among the boys who in 1887 offered their lives for the salvation of Don Bosco; while for his part the Saint of the Young had prophesied that the young Augustus would become bishop. Mons. Bertazzoni was a good Pastor and father of the poor, a true man of God, a man of faith and prayer, a tireless preacher of the Word of God, attentive to the spiritual needs of the faithful and even non-believers, for whom he spent his life to the very end, offering to God, for the good of the Churches that he had led as a bishop, the sufferings that led to his death. 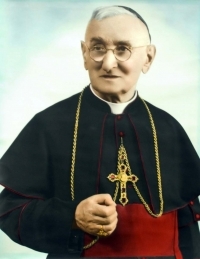 He was a father to the victims of war and to the Jews confined to Basilicata, a farsighted educator of the young, and he spent his time so that the priests of his diocese, together with men and women religious, dedicated themselves to the formation of young people, both in schools as in “Catholic Action”; he would recommend to all of them to have a "spirit of paternity" for the new generations. After this step, the next takes place in the Ordinary Session of Cardinals and Bishops, after which the Supreme Pontiff authorizes the promulgation of the decree of Venerability. (ANS - Caracas) - "We look forward to this historic moment that Venezuela is experiencing," said Msgr. Raúl Biord, Salesian, bishop of La Guaira, Venezuela. His is a peripheral diocese of the city of Caracas, located about twenty kilometers from the capital, and has about 500,000 inhabitants. No one can deny that the situation in Venezuela is dramatic, even on a global scale. The images of disease, hunger and pain suffered by many people hurt the eyes. It hurts to see "the terrible scene of a mother carrying the corpse of her daughter to the morgue, who died during the blackout" or "to see dozens of children buried who had no medicine or electricity to save themselves." It hurts to see thousands of Venezuelans having to travel thousands of miles in search of a future, fleeing to other countries. In the midst of this desolate landscape, Msgr. Biord said: "We are experiencing profound political changes. Twenty years ago what was called the Bolivarian revolution, which proposed 21st century socialism, was established; but unfortunately that revolution has failed. This project has caused great poverty, having followed an economic and social model of great state control over people, businesses and free economic initiative. This whole situation has led to a general collapse of services and the failure and closure of almost all companies. One of the biggest catastrophes this regime has produced is that nearly 4 million Venezuelans have left the country in the last 10 years. Very poor and simple people have had to leave the country by bus or on foot. In Venezuela there is a situation of great poverty, of great need, and as we bishops have stated on various occasions, through the documents of the Venezuelan Episcopal Conference, we are faced with a situation of illegitimacy of the President, of illegitimacy in the performance of functions and of illegitimacy in the origin. We need a transition, with free elections and a renewal of powers, to renew the country's institutions ... Let's look at this historic moment with hope, despite the hunger and the difficult situation that people are experiencing, despite the collapse of many services, the economic collapse and hunger of many people. There is a people that resists bending. It is a people that wants to provide humanitarian assistance through various civil organizations. The Church has placed "Caritas" at the parish and diocesan level as an aid center for receiving aid and distributing support to the most vulnerable population, which are malnourished children, pregnant and child-nurturing mothers, and adults with terminal illnesses. The Venezuelan people have the right to live with a quality of life and to be able to give a future to their young people. There is a lot of hope, but also a lot of suffering. We thank the countries and religious groups that help us with prayer and with their presence, to keep us on our feet and to seek respect for human rights and the dignity of the people. Let's look at this situation with hope. We pray to God that the transition be peaceful." (ANS - Makati City) – For the past 40 years the DB Press has been growing, despite the many challenges. In 1979, the Salesian Province of St. John Bosco in the Northern Philippines (FIN) salvaged the printing equipment of the Don Bosco Technical Institute in Makati and founded a company - the "Don Bosco Press, Inc." (DBPI ) - to serve the printing needs of its own educational and evangelizing apostolate. In this way the Salesians did nothing but follow up on the indications expressed by Don Bosco himself: "How many souls were saved by good books, how many preserved from horror, how many encouraged in good!" (Letter on the spread of good books, 19 March 1885). Located in Makati City, on the second floor of the Provincial House, DBPI has evolved over time, through internal growth and acquisitions from outside, from a small “courtyard” printer to the well-known and established publishing house that it is today. Currently, Don Bosco Press is divided into three main sectors: the core business consisting of the publishing house proper called "SalesianaBooks"; its Printing Services; and the Printing School at the Vocational Training Center. SALESIANABOOKS - DBPI publishes textbooks for basic education needs through the "SalesianaBooks" brand. Firmly convinced that Quality Education also passes through quality textbooks, Salesiana Books ensures that all its products are morally upright, up-to-date and enhanced by the most effective pedagogical, teaching and learning tools. PRINTING SERVICES - By putting into practice its own guiding philosophy, "Excellence within Reach! ", DBPI is committed to providing customers with customized and personalized assistance to meet their printing needs. SCHOOL OF PRINTING – It represents the company's contribution to the development of the Philippine printing and publishing industries. The school is the only training institute for the printing and publishing industries that offers its students hands-on experience, a factor that allows them to be among the most sought-after skilled workers at graduation. Counting workers and employees of the central office and those of the peripheral centers in Baguio, Visayas and Mindanao, the "Don Bosco Press, Inc" is today a large family of about 200 people. For the company's 40th anniversary, yesterday, March 11, about 60 lay collaborators in the mission were able to hear the Salesian "good morning", during which the guiding values ​​of the company were remembered, including its care for the environment. (ANS - Dar es Salaam) - "In the world there is a low level of access to clean and renewable energy. There is still a need to develop adequate accumulation technologies." (Pope Francis in Laudato Si’, n° 26). In order to improve the formation and employment opportunities of the most needy young people, to promote the spread of a culture of respect and protection of Creation, and to meet the needs of the local population, the Salesians in Tanzania are promoting training courses for renewable energy management. Thanks to collaborations with NGOs and charitable foreign foundations such as the German "Misereor" or the US "Charles Stewart Mott Foundation", for the past two years the Salesian center "Don Bosco Oysterbay" in Dar es Salaam has developed training programs in the field of renewable energy. Launched in 2017, these courses have enabled the quality technical training of 120 young people each year, selected from children who are the most needy and at risk of social exclusion. Among the top 35 young graduates of the solar energy training course, there is also Imani Mwasonga, one of the graduates who comments: "The training has been a great platform for me to learn and acquire new skills, enabling me to explore the use of solar energy. I hope to maximize my skills, empower the community to take advantage of solar power and, in the process, make the world a better place to live in." Given the success of this pilot project carried out at the "Don Bosco Oysterbay", the "Charles Stewart Mott Foundation" granted a further grant to the Salesian Mission Office of New Rochelle, USA, to finance the same educational initiative at the centers of Salesian formation in Dodoma and Iringa. In total, the 3 training centers - in Dar es Salaam, Dodoma and Iringa - will annually train 300 students in the installation, operation and maintenance of solar photovoltaic systems. The centers will also collaborate with companies active in the solar energy sector and with the government to offer apprenticeship opportunities to teachers and students. In Tanzania, only 15% of the 41.5 million inhabitants has access to electricity, with only 12% of urban areas and 2% of rural areas having access. Since electricity is slow to arrive in many areas, Tanzanians are opting for renewable energy and especially solar panels. Rural areas, in particular, are adopting photovoltaic (PV) technology more rapidly, largely due to the absence of an electricity grid. However, with the increase in the adoption of solar energy by rural and sub-rural communities, the lack of qualified technicians remains a challenge for the sector. The new renewable energy training programs started at the Salesian centers can thus meet the needs of the population and provide employment opportunities for young people in need. All with respect for Creation. (ANS - Calca) - Today in Peru there is much enthusiastic talk about economic growth, which unfortunately is not reflected in the living conditions of the peasants of remote villages in the country's interior. In the area of Calca, a peasant community in the Andean Sierra, progress and well-being have never arrived. It is for these people that the Salesians have begun to set things in motion. In the area of Calca the poverty rate is very high; high, too, the rate of child malnutrition and family violence. Access to education for children and young people in the valleys is very limited: many of them have to walk four hours a day during their home-school trips, exposing themselves to dangers such as sexual abuse, abduction for the purpose of human trafficking and induction to child prostitution. The Salesian mission in Calca takes care of 40 rural communities spread over a route of 3000 km, for a total of over 27,000 beneficiaries. The "Don Bosco" house welcomes about 40 children and youngsters coming from far away areas and from social-family contexts that are not able to guarantee them a serene growth. At the Salesian house these minors receive hospitality, but also the opportunity to grow up in a familiar and cheerful environment, attending workshops, after-school courses and sports-related courses. To offer children and adolescents an integral education, providing them with the necessary means - human and material - for an optimal use of their studies and for the global development of their personality, reaching an adequate integration in society and becoming Christian promoters, leaders, animators in their own communities: this is the goal of the Salesians of Calca. Currently, the Salesians who animate the missionary youth center have developed a new idea: they want to start a music workshop that would involve 41 children. The value of the project is twofold, both cultural and psychological: on the one hand, to help young people to keep their roots through the study and the realization of folk songs; on the other, to favor the psycho-physical well-being that musical activities transmit. The students will attend the course twice a week for 2 hours of lessons each time, so as to maximize all the benefits that this activity generates. Traditional Pan flutes, but also triangles, wooden bass drums and modern musical keyboards ... Of these instruments, there is now an urgent need in the mission. The children of Calca are only waiting for someone to give them the chance to dream through music. South Africa - Rector Major to the young: "How many of you believe that you will need sacrifice to achieve your dream?" 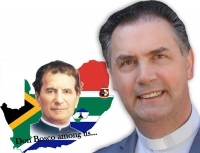 (ANS - Johannesburg) - Last Friday, March 8, landing in Cape Town, South Africa, Fr Ángel Fernández Artime reached the 86th country he has visited as Rector Major. "My wish is that the Salesians will help you to be good boys," he said shortly after his arrival, meeting the young students of the "Learn to Live School" path. On that same day, the X Successor of Don Bosco had two other significant meetings, both at the "Mary Help of Christians" parish: the one with the local Salesian Family and the one with the youngsters of the Salesian Youth Movement (SYM). In the first of the two meetings, Fr Á.F. Artime recalled how in the whole world religious and laity of the Salesian Family really succeed in changing the lives of young people, and he also emphasized the value of unity: "In order to develop Salesian works, Don Bosco needed the help of many other people. It is very important that we remain united." Then, with the youth of SYM, the Rector Major acted as a true youth animator, provoking them with several questions: "Are you happy? "; "How many of you have a dream? "; "How many of you think it is possible to realize it, your dream? "; "How many are willing to make sacrifices to achieve it?" ... In the end, to the young he indicated the example of Don Bosco, a saint who dreamed great things for the young and sacrificed himself to pursue his dream. And he reminded them not to leave Jesus out of their lives. On Saturday morning, March 9, the Rector Major met his confreres in Cape Town where he said how Pope Francis once said to him: "Others work with the young, but the Salesians exist for young people." Later, Fr Á.F. Artime dialogued with Msgr. Stephen Brislin, archbishop of Cape Town. He later reached Johannesburg where, first of all, he visited the provincial community of the Daughters of Mary Help of Christians. The Rector Major spent yesterday, Sunday 10 March, meeting young people and members of the Salesian Family who are active in the presences of Johannesburg. He reminded the youths that each person can be a gift to others and that holiness does not consist in performing miracles, but in performing "the miracle of service." To the various groups of the Salesian Family, he emphasized the importance of witnessing communion and of being significantly present among young people. (ANS - Luanda) - The Salesians of Don Bosco in Angola received an honorable mention of the "Manuel António da Mota - A Life for Angola" award, officially launched last Friday, March 8, in Luanda, in the presence of the President of the Portuguese Republic, Marcelo Rebelo de Sousa, and of the President of the Republic of Angola, João Lourenço. The "Manuel António da Mota" Foundation is an emanation of the Mota-Engil Group, a large Portuguese company active in the construction, energy and transport sectors and operating in 22 countries on 3 continents (Europe, Africa and America). The Foundation, founded in Portugal, aims to promote, develop and support social and cultural initiatives and thus represents an important tool of the Corporate Social Responsibility policy of the Mota-Engil Group. In order to pay tribute to those institutions that distinguish themselves in health and education, last Friday an event took place at the Epic Sana hotel in Luanda during which the first edition of the "Manuel António da Mota - A life in Angola " prize was launched, which will take place in 2020. On this occasion, a special mention of the award has already been assigned, which the First Lady of Angola, Ms Ana Dias Lourenço, has consigned to Fr Manuel Ordoñez Roman, Vicar of the Salesian Vice Province of Angola. In the motivation of the award, the representatives of the "Manuel António da Mota Foundation" recalled that the Salesians of Don Bosco began their activities in Angola in 1981 and explained that the prize was awarded because of their dedication to the cause of the most disadvantaged groups and the well-being of the Angolans. The president of the Board of Directors of the Foundation then indicated that the recognition "Manuel António da Mota - A Life for Angola" will aim to honor the non-governmental philanthropic organizations of Angola, similar to what has been done for 10 years in Portugal; and explained that it was decided to establish the award in Angola, because that is the country where Mr. Manuel António da Mota started his business 73 years ago. The ceremony was also attended by the Vice-President of the Republic of Angola, Bornito de Sous, several Angolan and Portuguese parliamentarians, ministers, prominent figures and businessmen, together with several members of the Manuel António da Mota Foundation and the Mota-Engil company. 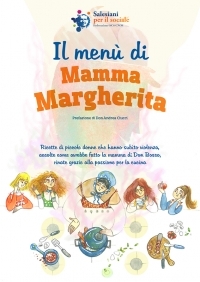 The recipe book - free download at https://www.salesianiperilsociale.it/menu - is inspired by Margherita Occhiena, mother of Don Bosco and cook for many young people from Turin-Valdocco. "It is a tribute to her and to all mothers who take care of their children even by cooking a 'good meal'," says Fr Giovanni d'Andrea, President of 'Salesians for Social Affairs'. 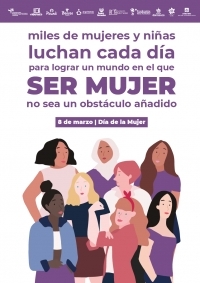 "And it is also a way to be in solidarity with the girls welcomed in the 'House of Women' of Messina, which we support in its activities aimed at (helping) victims of violence or with serious family difficulties."